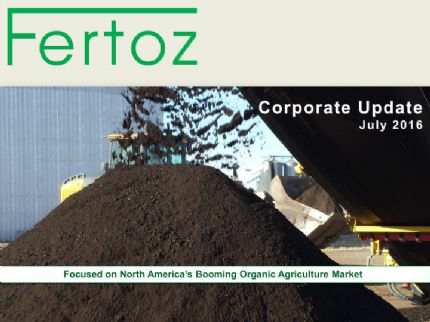 Fertoz (ASX:FTZ) is an Australian-based phosphate exploration and development company with a range of projects in British Columbia, Canada as well as Queensland and the Northern Territory. The Company is focused on becoming a fertiliser producer as quickly as possible, initially focusing on the Canadian/USA markets. Fertoz plans to develop its exploration assets in Canada in order to identify any potential Direct Shipping Ore (DSO) projects. It intends to seek joint venture partners to assist in funding the exploration projects in Australia. Phosphate is a commodity necessary for feeding the world, and Fertoz is ready to capitalise on this growing demand. 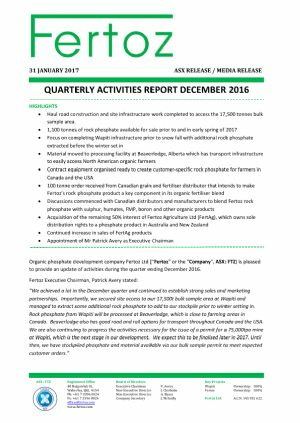 Organic phosphate development company Fertoz Ltd (ASX:FTZ) is pleased to provide an update of activities during the quarter ending December 2016. 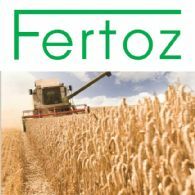 Organic phosphate supplier Fertoz Ltd ("Fertoz" or "the Company") (ASX:FTZ) thanks all analysts and investors who joined the Company&apos;s update call on Wednesday 14 December. 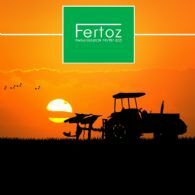 Fertoz Ltd (ASX:FTZ) is pleased to advise of recent sales and marketing progress in North America. Fertoz Ltd (ASX:FTZ) is pleased to provide the company&apos;s Chairman&apos;s Address to Shareholders at 2016 AGM. Fertoz Ltd (ASX:FTZ) is pleased to provide the following update regarding its operations in North America. Fertoz Ltd (ASX:FTZ) is pleased to provide an update of activities during the quarter ending September 2016. 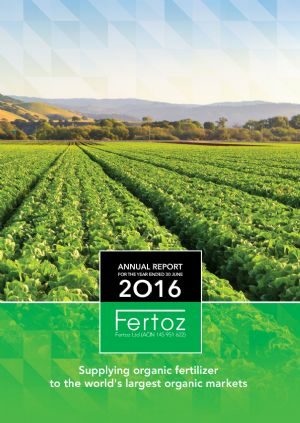 Fertoz Ltd (ASX:FTZ) is pleased to provide its Annual Report to shareholders for the year ended 30 June 2016. 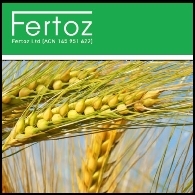 Fertoz Ltd (ASX:FTZ) has completed its $4.35 million private placement announced on the 2 August 2016 with the issue of the Tranche 2 shares and options being 20,871,446 ordinary shares and 10,435,736 unlisted options with each option providing the option holder with the right to buy one ordinary share at any time up to 29 September 2018 at an exercise price of $0.18 per share. 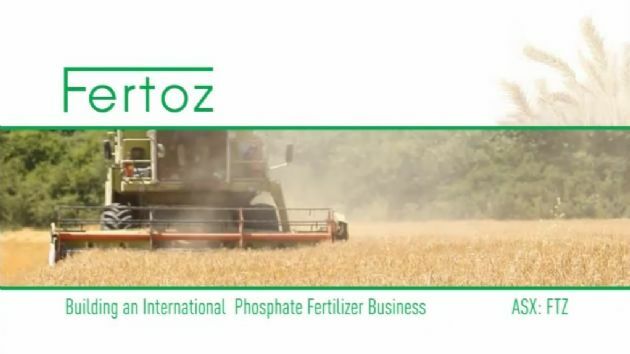 Organic phosphate supplier Fertoz Ltd ("Fertoz" or "the Company") (ASX:FTZ) thanks all analysts and investors who joined the Company&apos;s update call on Tuesday 20 September. Fertoz Ltd (ASX:FTZ) is holding an Extraordinary General Meeting ("EGM"), primarily for the purposes of approving the issue of shares, pursuant to a recent successful fund raising effort. However, the EGM also provides an opportunity for us to provide an update on several corporate development and administrative matters.